Want to gain a better insight into everything from the most profitable types of work, customers and market segments? How about fast and easy access to the information you need to deliver your projects on time, every time? Recent research, commissioned by Smartsoftware, shows that Architects and Engineers have identified winning new business as the top priority for their firms in 2014, which is something we looked at in a previous blog, Winning new business is a top priority – what would you like to have a better view of? Those surveyed believe the crucial point to winning new business is through improving visibility. Automating your firm’s administration and improving visibility with a single and unified ERP system, will support your internal processes across all projects, from end-to-end. You will have visibility to time and expenses, invoicing, budgeting, resource allocation and evidence of any changes in a project, so you can see how profitable your jobs are at all stages. An ERP system that will manage all project information provides you with reporting capability necessary to provide your project managers and team members with the visibility they need to know when a project is off-track and make the necessary adjustments to keep each project on budget, and keep the customers coming back. 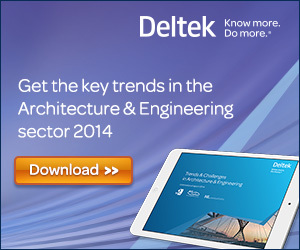 Deltek blog: ‘Improve project planning and protect your margins’. Categories: Architect, Business stories, Communication, Project Management | Tags: budgeting, Enterprise resource planning, ERP, Improve visibility, Winning new business | Permalink.